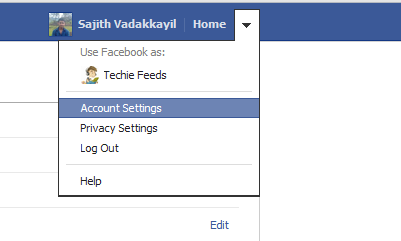 It has very few easy steps to download the data including photos and videos, posts on your wall, all of your messages, and also your friend list and all other you have put upon your Facebook profile. It's an easy way to protect your data missing by accidental or by hacking. 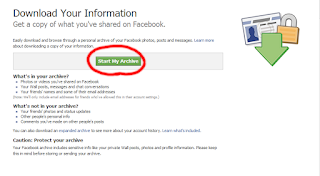 Now A days many of people are directly uploading photos, videos, or even documents to Facebook or some such websites and accessing it through internet. This is surely a good way for managing photos or even documents. Because losing of our space on Hard Disc or memory cards can prevent. And easy to access anywhere if have an Internet connection. But there may be some situations like missing our photos's or even photo albums by accidental deletion or by virus. So it is always better to make a copy of all so Facebook provides an easy way to download all your informations from Facebook including photo albums, videos, post on wall, messages and etc.... Now, We are going to the step by step procedure for downloading Facebook account. 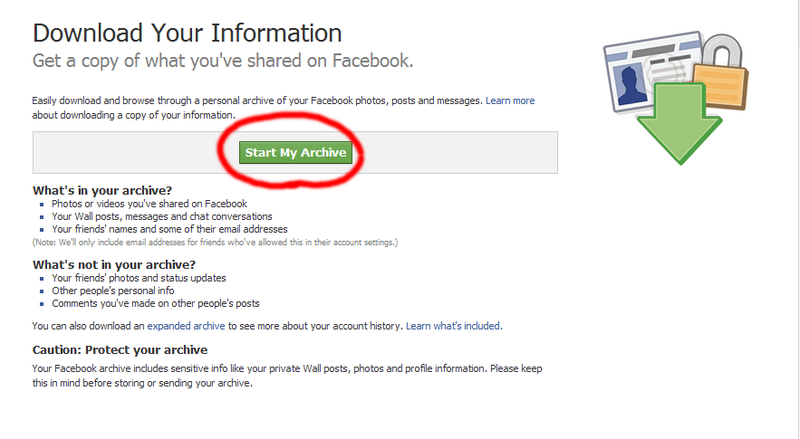 4) Once your archive is ready to download, FB will mail to you. and you can download your data from there. Create High Resolution Photo Colleges.